From the spa village of Caldas de Reis to the next goal there are just 18 kilometres. Once again this is a fast stage and, at the same time beautiful. The only drawbacks are the junctions with the N-550 road. Pilgrims say goodbye to Caldas, in ascent, along the N-550 road. Soon after a narrow track appears which, should be taken to continue the Camino to Santiago. From this moment a journey of five kilometres without traffic awaits. Pilgrims should not follow the green arrows to reach pardon. The parish of Carracedo has a chemist, informal restaurants (Casas de comida) and a bakery. Without leaving the asphalt, walkers encounter, once again, a dangerous junction in Casalderrique, a location, which leads to the council of Valga. 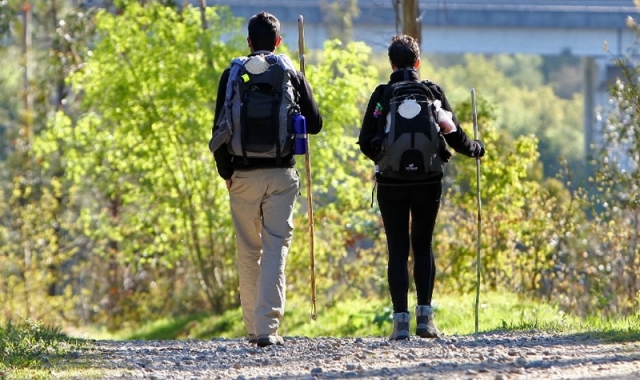 On the way through Valga the Camino passes very close to a number of small locations, they are not entered directly however, pilgrims should be aware that they are there if needed, a detour of just a few meters at specific points of the route will lead them to food and a bed. The route passes through San Miguel de Valga, Cimadevila, Fontelo and the river Ulla, the boarder between the provinces of Pontevedra and A Coruña and in turn between the councils of Pontecesures and Padrón. Pilgrims cross through Infesta, in the council of Pontecesures where they will find a peculiar catering establishment. Namely the restaurant A Mesa da Pedra, it is owned by the Association of Friends of the Camino of Santiago. This establishment serves tasty local grown delicacies. There is no fixed price and pilgrims pay as they deem fit, although the estimated cost is around 7 euros. Those without money however, can always work in the garden or in the kitchen. After passing a school, on the right hand side, the council albergue is situated. The Camino of Santiago via Padrón is signposted with a yellow arrow, on the left. Pilgrims have to cross a level crossing with barriers and ascend to the height of the N-550 (on this occasion without any other alternative). After crossing the bridge over the Ulla walkers reach the other side of the riverbank. 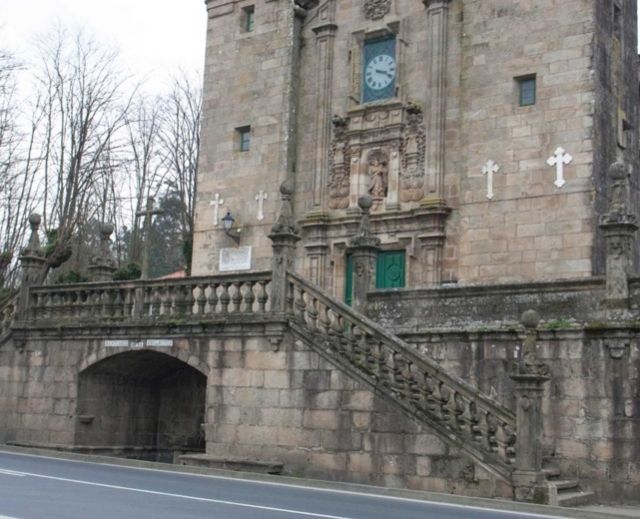 Now in the council of Padron, the Camino of Santiago penetrates the centre of the town along the banks of the river Sar and arrives at the football pitch of Flavio. All those pilgrims who wish to stay the night in Herbón, instead of Padrón should take another route from Pontecesures. First they have to turn right onto rúa Cantillo and head towards the village of Cortiñas. From here walkers descend to the river Ulla and continue along a forest track which passes below the viaduct of the AP-9 motorway to later cross two bridges over the river. A few meters later pilgrims reach the Franciscan monastery of Herbón, where the albergue is also situated. In order to reach Padron walkers have to continue along the road that passes some greenhouses and, on reaching a school, join the AC-242 road. After new junctions on asphalt and with the railway line walkers reach the location of A Matanza. From here they should continue along avenida de la Estación and arrive in the centre of Padrón. During periods of rain some stretches of the Camino may become muddy. 1 reviews Distance to Santiago: 43 km. 1 reviews Distance to Santiago: 27 km.